How to tame and cooperate with your elephant? There are many psychology theories, religions, thousands of self-help books, approaches like Emotional Intelligence and Neuro-linguistic programming try to answer this question. None of them have receipt that works for all. Recognize and accept it – you are not in the control over your unconscious mind. Understand your weaknesses and strong sides – be honest with yourself. Have inner talk with yourself / elephant (I hope it doesn’t sound crazy). Meditation and yoga can enhance mutual understanding. What do you want? Know and set up your own goals, motivation and plans. 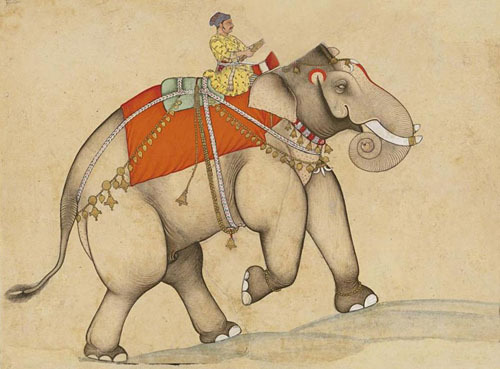 Convince, induce or bribe your elephant to help with your goals – if he doesn’t agree, you’ll have problems. Try 30 day trials, 30 minutes time boxes or cheat days. Reject your goals if your elephant (i.e. emotions, intuition and instincts) is still against them. It doesn’t worth to fight with him. Find what you both like. Good time management and productivity system (and here) could tame, focus and discipline your elephant. In short, structure your time, set up simple Next Actions and use self-imposed deadlines. You should have a pull system, where each next step is easy, clear and inevitable. Strive for small victories – accomplished tasks will make your elephant more compliant. Do regular exercises, have right diet and healthy lifestyle. Keep your brains busy – always learn something new (play at least Sudoku). Surprisingly, other people have elephants inside too. Recognize and accept them. Make social bonds with other people, love them – we are social creatures and our elephant need others for survival. Find the real meaning in your life – and you’ll live in harmony with your elephant – your unconscious mind. Ask yourself: How your today life will look like when you are 100 years old? What was important and what was waste in your life? What did you achieve? It is not a simple task for the rider to tame and cooperate with this wild, unpredictable and self-will animal inside you. But if you do this, you’ll control and enjoy your life… and become a better programmer. Good luck, and say hello to your elephant! This is miss understanding of unconscious mind. You cannot access unconscious mind by doing these 5 steps. I agree it helps your conscious mind to cooperate. But conscious mind is very small as compare to Unconscious mind. This subject is very large, first you need to understand dream then you begin to understand it.